West Sacramento, CA – The Sacramento River Cats are thrilled to announce the promotions schedule for the 2017 season, with the team’s home opener Thursday, April 6. The 2017 promotions schedule is loaded with premium giveaways, new theme nights, five specialty jerseys, and much more. Over the course of the team’s 71 game home schedule, the River Cats will host 23 fireworks shows – one on every Orange Friday and Sutter Health Saturday plus another for our Independence Eve celebration. In addition, fans can look forward to five exciting giveaways, including a Johnny Cueto Giants shimmy bobblehead (April 21), a River Cats superhero jersey-cape (May 19), a River Cats reusable tote bag (June 9), a Buster Posey “Buster Hugs” blanket (July 28), and a “Moods of Madison Bumgarner” t-shirt (August 11). Brand new for 2017 are four unique heritage nights, including Hispanic Heritage Night (April 21), Asian Pacific Islander Heritage Night (May 20), Irish/Scottish Heritage Night (May 26), and Italian Heritage Night (August 31). 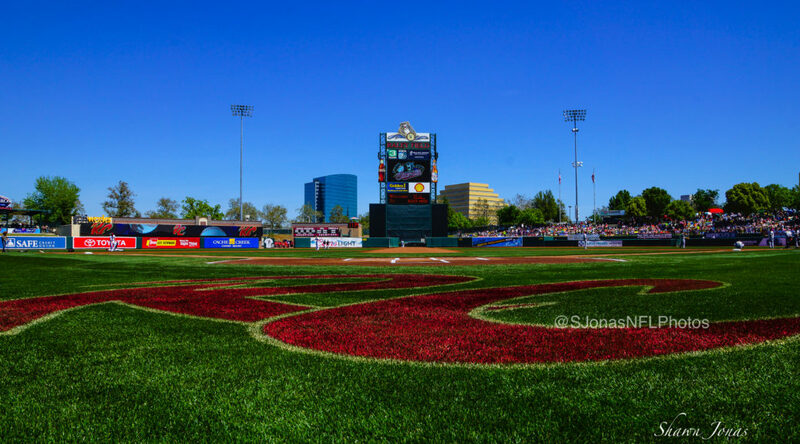 The River Cats will also host an Easter Brunch event (April 9), a Sactown-celebration with 916 Night (June 30), Equality Night presented by Lasher’s Elk Grove Subaru (July 7), and for the first time ever, make merry with Christmas in July on July 27. Also new for the 2017 season is Sactown Grown Night, a farm-to-fork-themed night to celebrate the region’s leading efforts in agricultural sustainability and healthy living (July 29). Sactown Grown Night also features one of the season’s five specialty jerseys: a nod to the area’s agricultural prominence. The team’s other specialty jerseys include a moving, fan-inspired jersey celebrating our local military members for Salute to Armed Forces (May 6), a vintage comic-themed jersey for Comic Cat night (June 17), a patriotic jersey for Independence Eve (July 3), and a peach jersey in the style of the Rockford Peaches of the All-American Girls Professional Baseball League (September 2). Returning for 2017 are Orange Fridays. Fans are encouraged to break out their River Cats – or San Francisco Giants – orange and attend a pregame party featuring live music and drink specials before the team takes the field in orange Sactown jerseys. This year, Orange Fridays will also feature postgame fireworks shows, a new addition for the 2017 season. Also returning are Raley’s Wellness Wednesdays (featuring activities such as yoga or cross training on the field, a riverfront bike ride, and more) and Thirsty Thursdays featuring the Tito’s Trolley. Additional highlights include Bark in the Ballpark (April 23), Fin Fest (June 9), STAR WARS® Night (July 8), Princess & Pirate Night (August 19), Frank ‘N Stein Oktoberfest (September 1), and Fan Appreciation Night (September 3) among many others. Single-game tickets go on sale at noon on Sunday, March 5 at the Round Table Pizza Ticket Office at Raley Field with an 11 a.m. advance opening for River Cats Season Ticket Members. An online presale will be available on Wednesday, March 1. More details on all of the upcoming season’s promotions can be found online at rivercats.com/promotions. Promotions and dates are always subject to change.